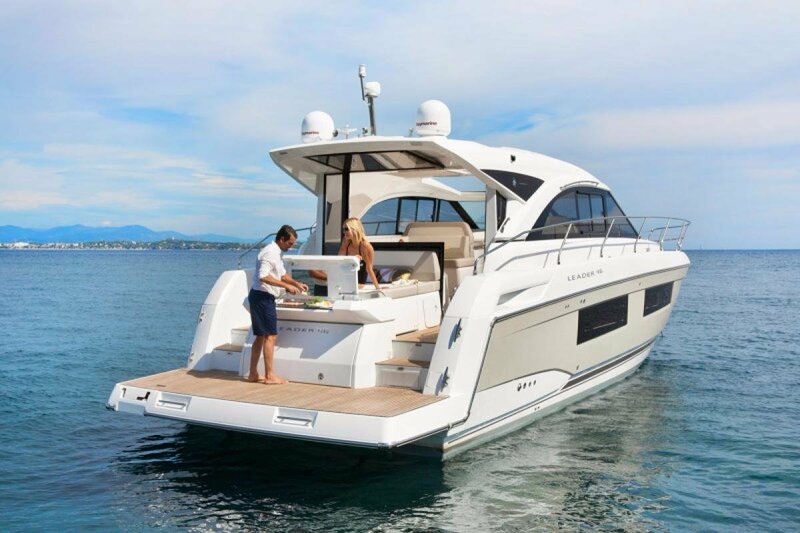 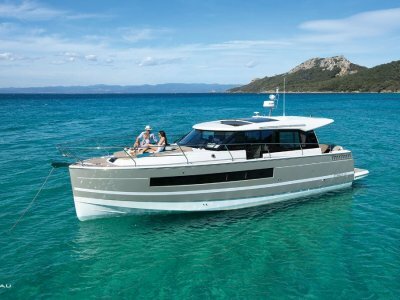 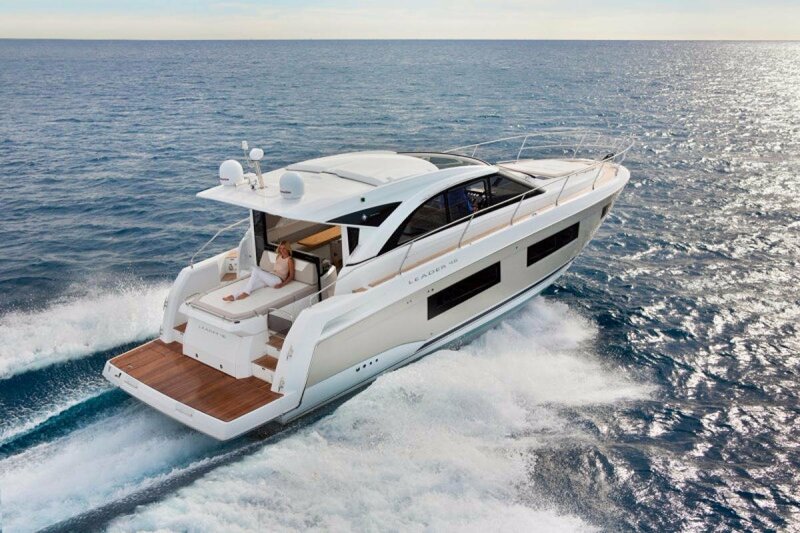 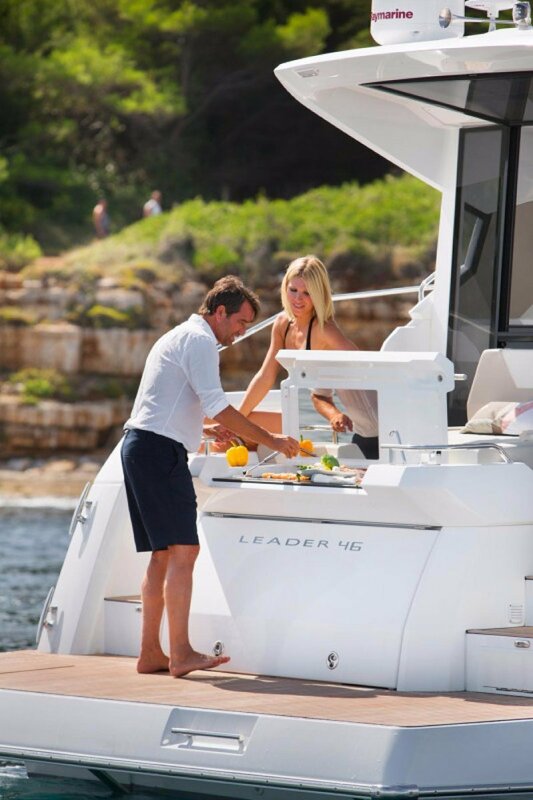 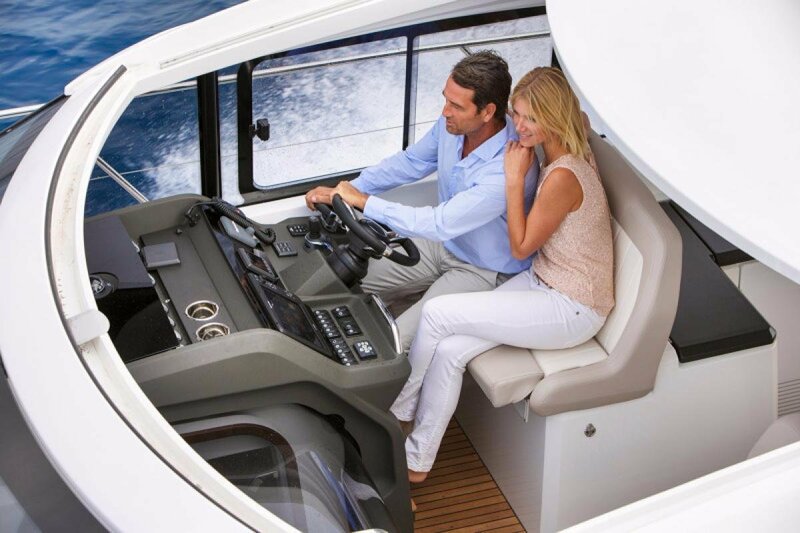 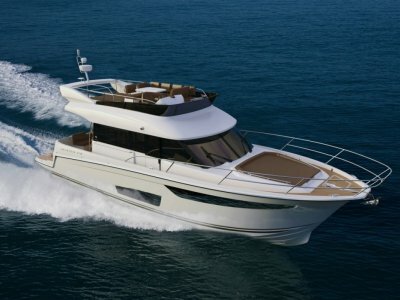 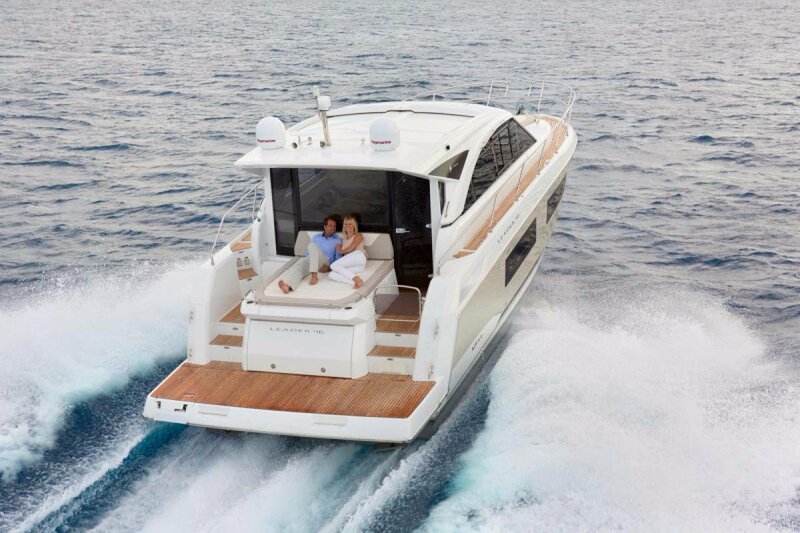 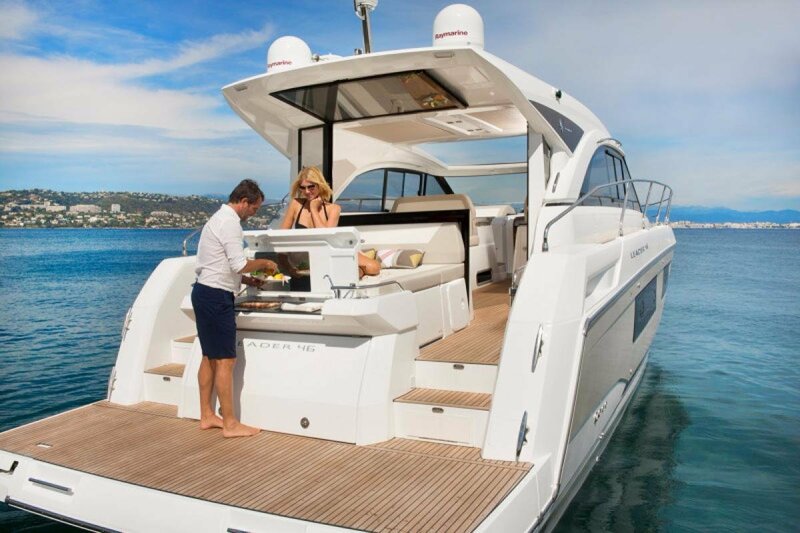 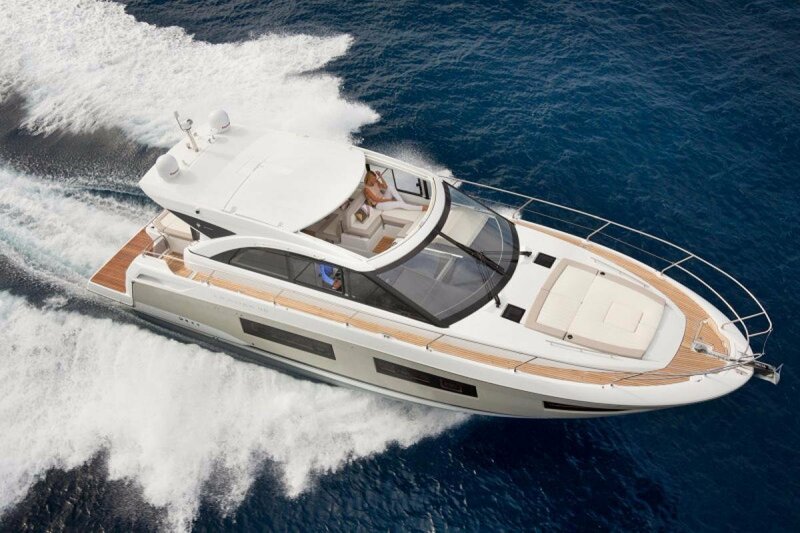 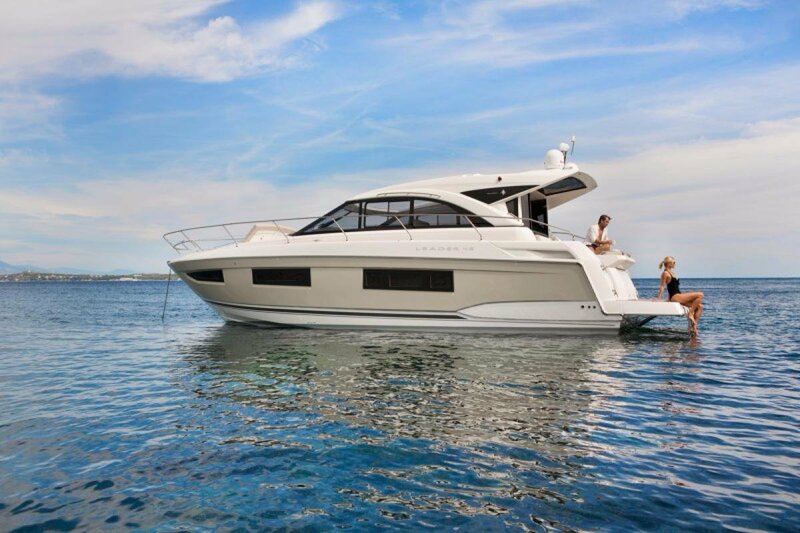 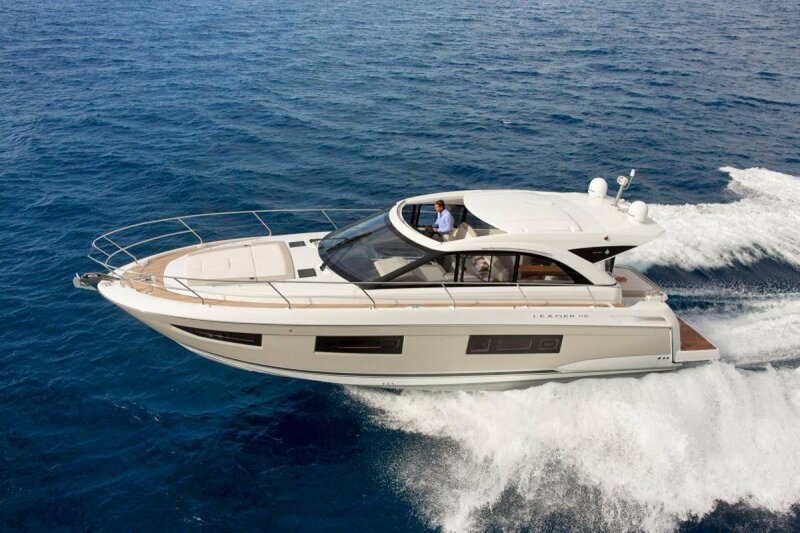 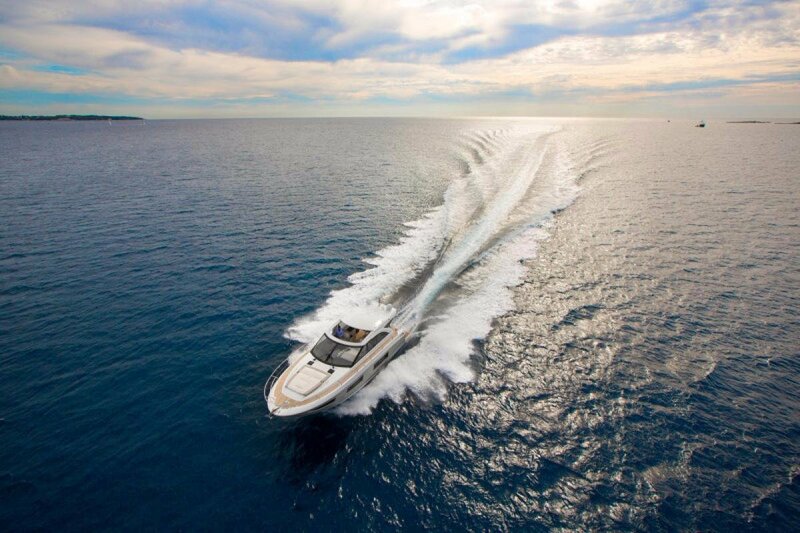 The new Leader 46 revisits the same key points that have made the current line an international success - a high-performance hull, generous exterior spaces and innovative interiors. 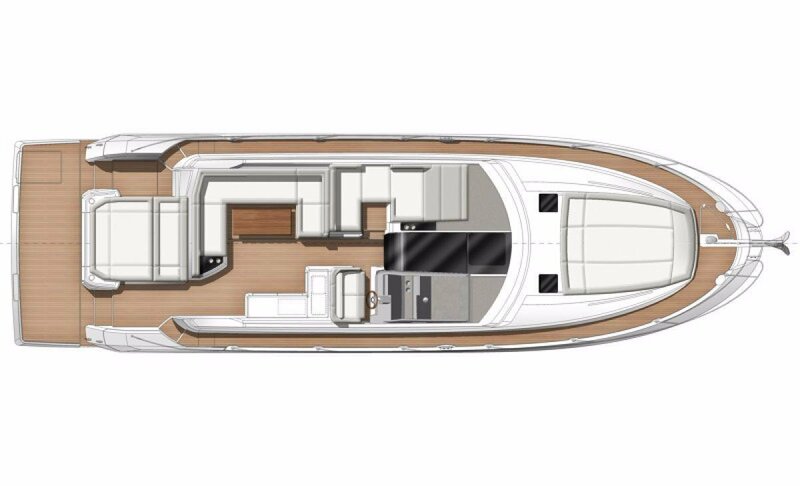 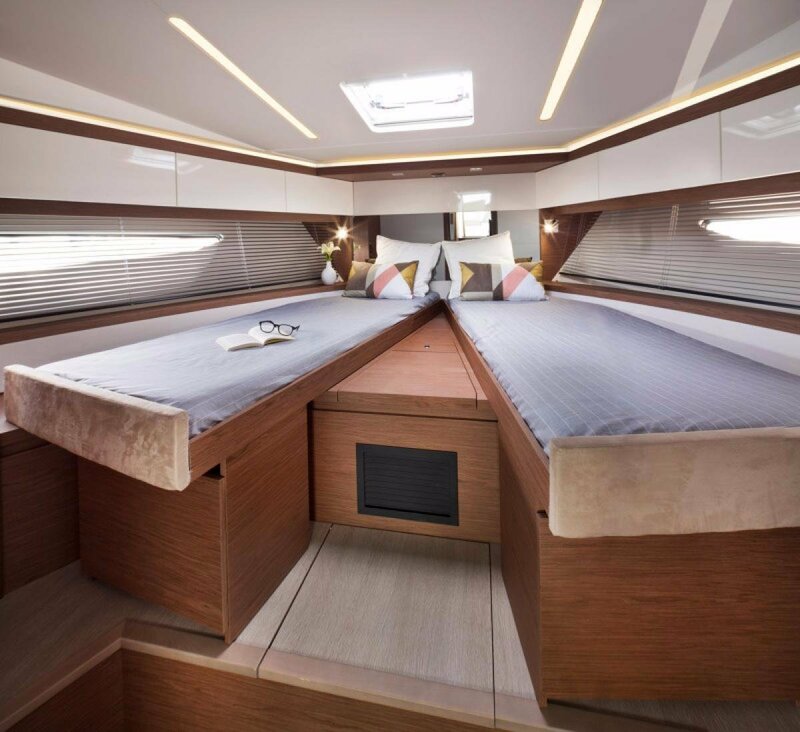 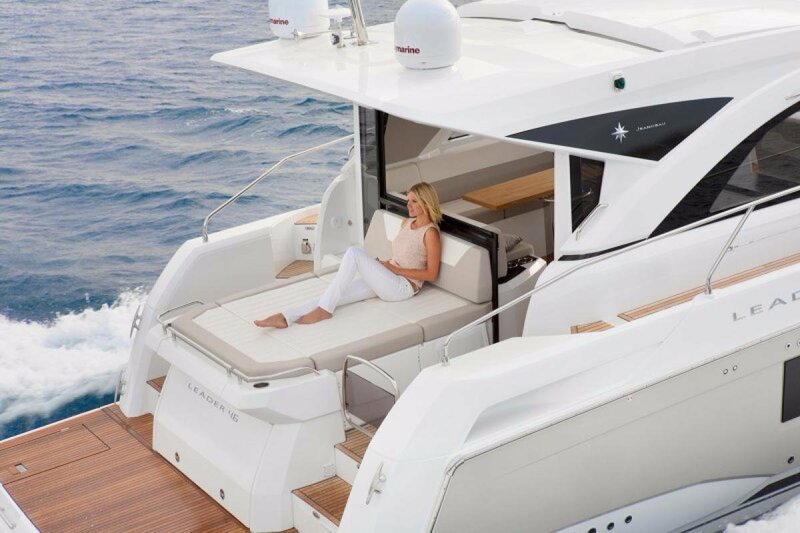 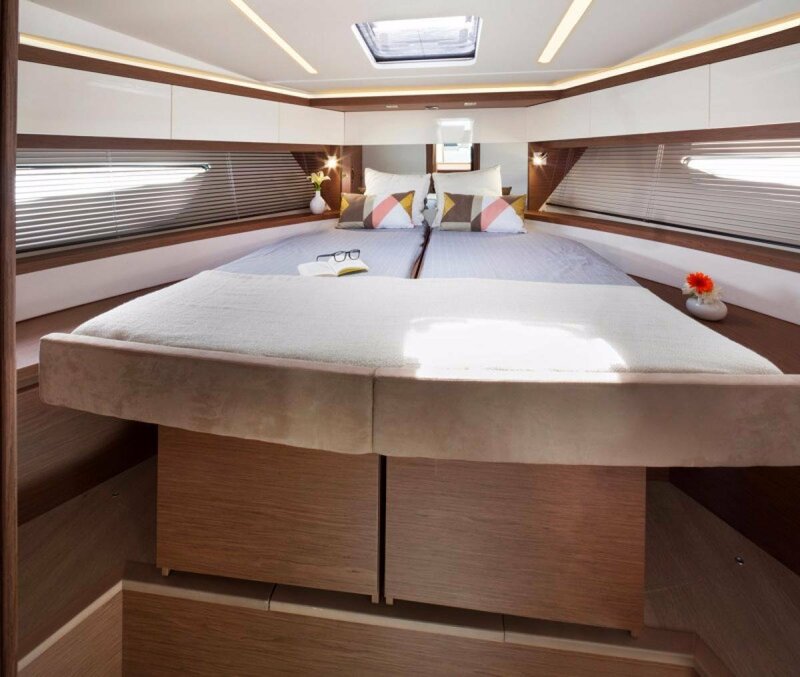 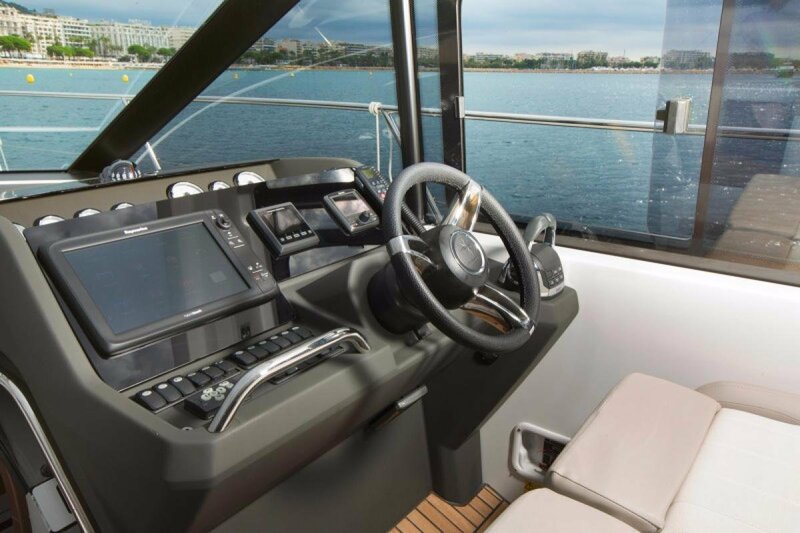 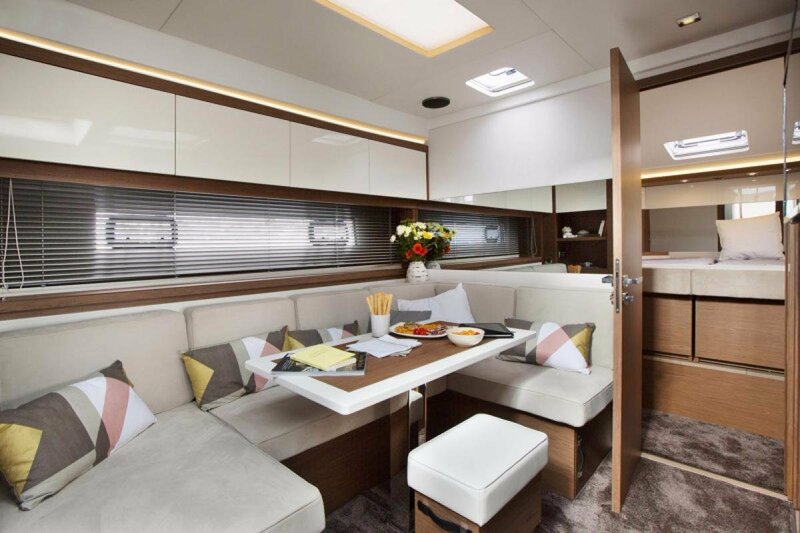 Luxuriously zen, the interior design of the Leader 46 will seduce you with her contemporary spirit that has been carefully studied down to the smallest details (wide windows in the hull, new design for furnishings, indirect lighting, new materials... ). 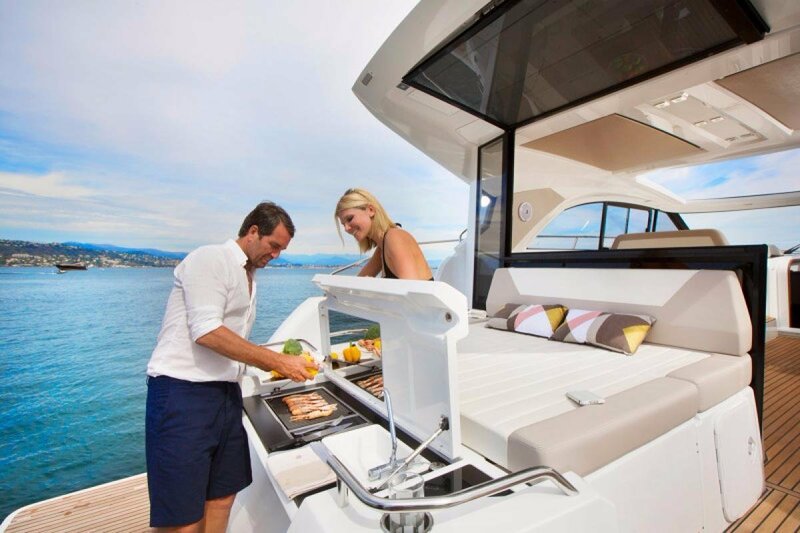 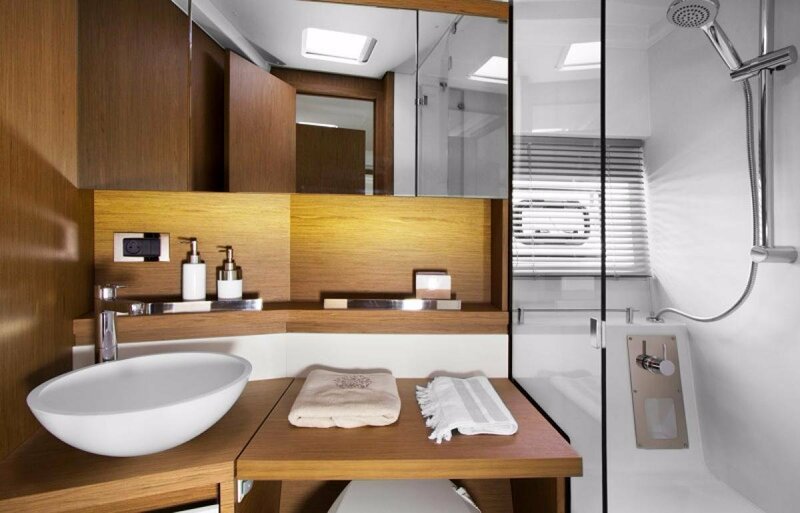 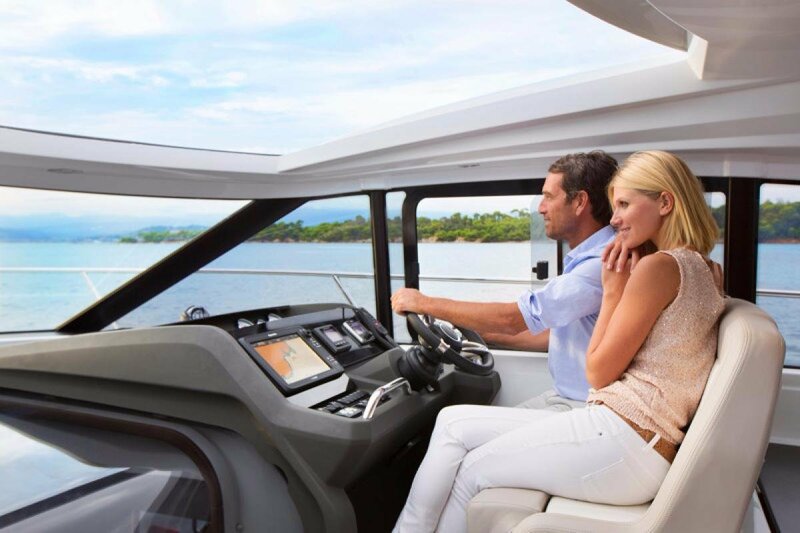 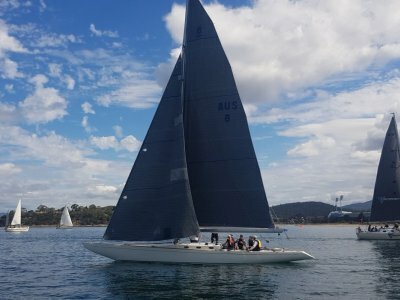 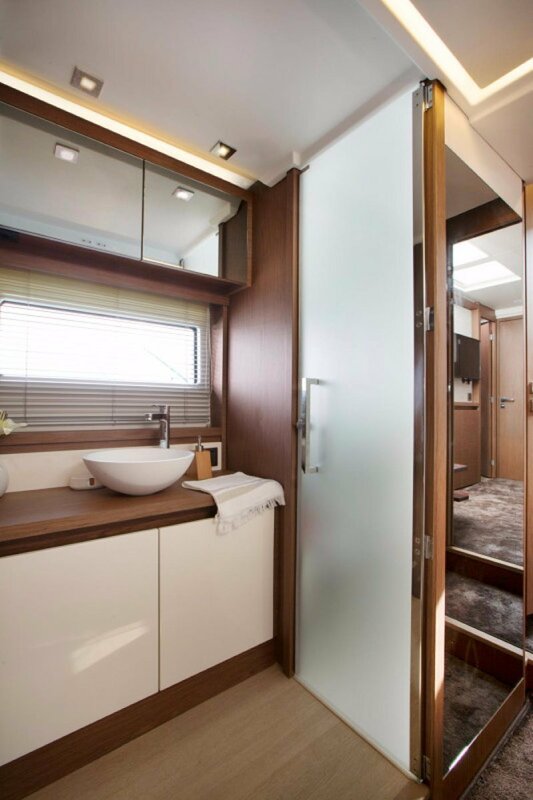 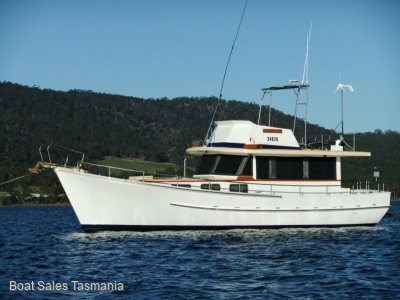 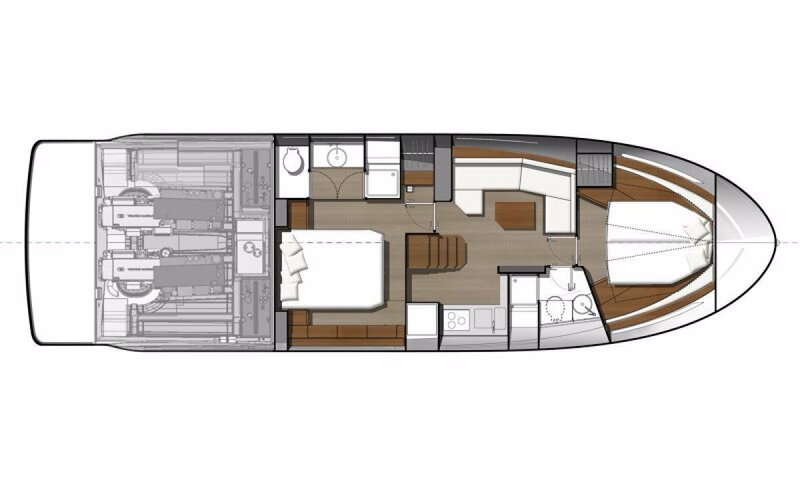 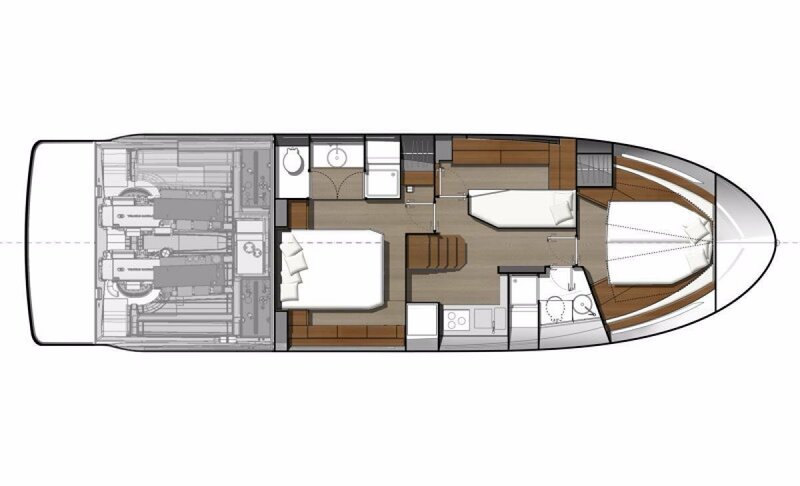 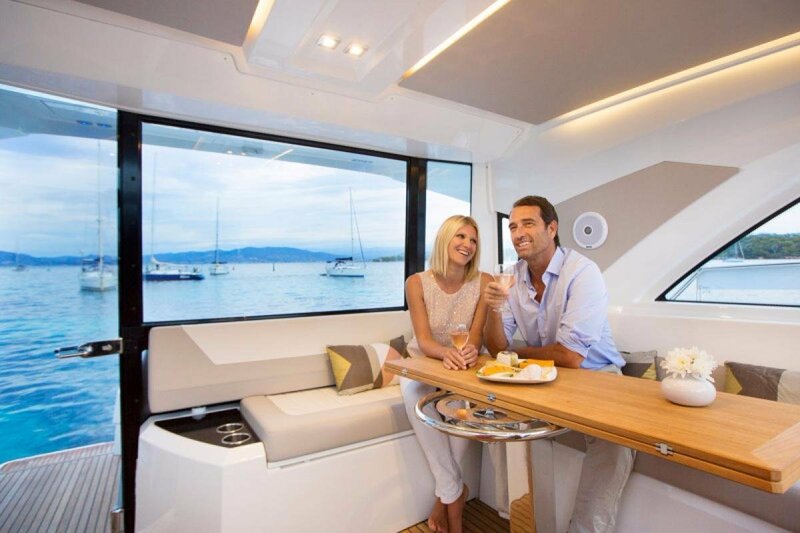 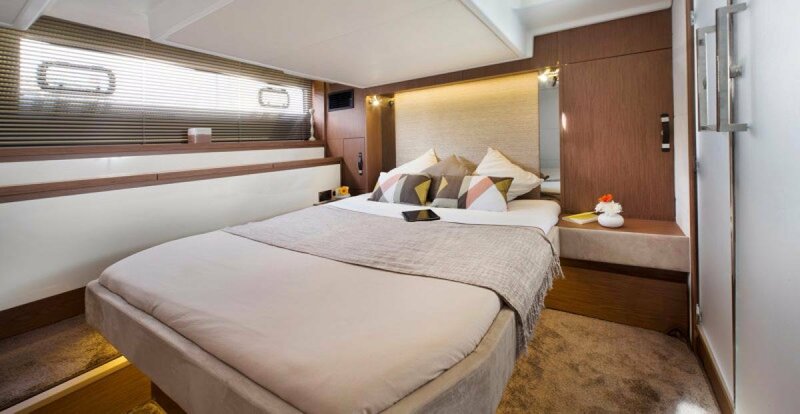 Innovative and unexpected, a true owner's suite is a pleasant surprise, with her superb central cabin (centreline berth) and a king-size, modular head and shower compartment.